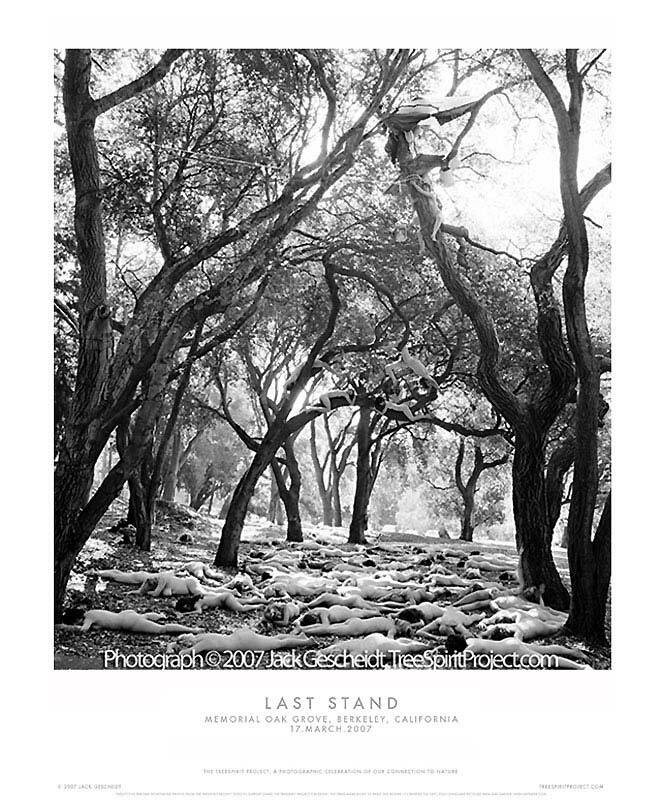 Fundraiser by Jack Gescheidt : Save 450,000 trees from clearcut! Save 450,000 trees from clearcut! 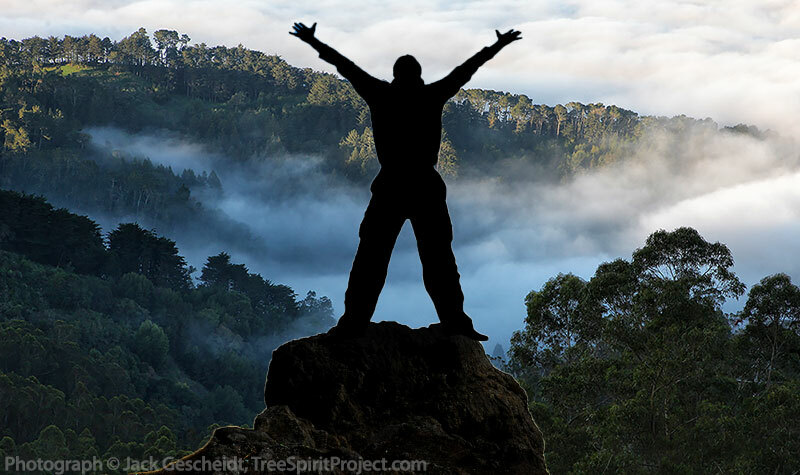 1) The devastating plan to cut down over 450,000 healthy, mature trees in the Oakland and Berkeley hills in the San Francisco Bay Area has been halted (!) 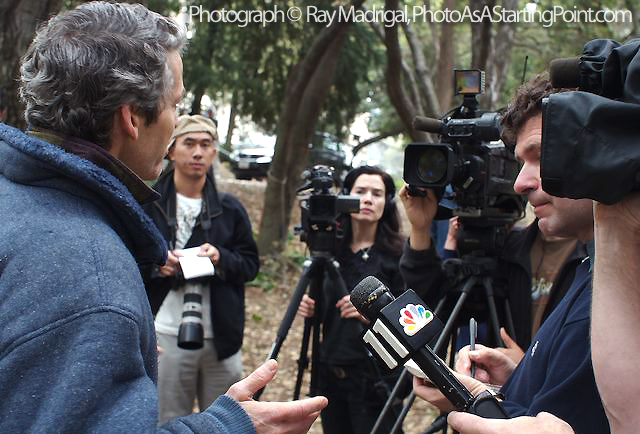 thanks to the successful, coordinated efforts of numerous citizens and local environmental groups. 2) Crucial lawsuits brought by local Berkeley environmental group, The Hills Conservation Network (HCN) helped save hundreds of acres of trees. Their legal challenges succeeded on both the federal (FEMA) and state (CEQA) level. READ MORE. 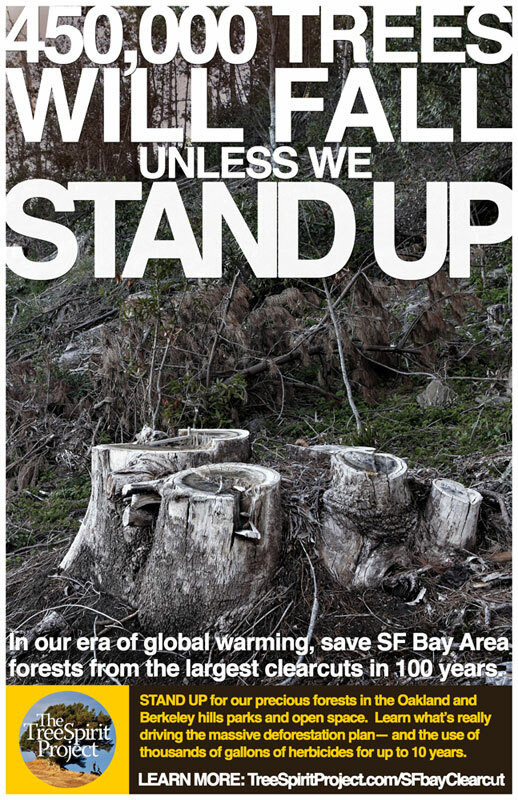 3) BUT other campaigns to cut down thousands of healthy, carbon-sequestering trees in the Bay Area continue, even now (March 2017) in San Francisco, despite SF's environmentalist and progressive reputation. LEARN MORE. Why all the ongoing deforestation campaigns? They are part of an ongoing, de facto War on Nature driven by a non-science ideology called Invasion Biology which non-scientifically labels wild plants and animals "native" and "non-native" — and (respectively) Good and Bad. The bad "non-natives" are then targeted for eradication — e.g., cutting down thousands of healthy, productive trees, even if 100+ years old. READ MORE. The deforestation and habitat destruction usually includes spraying carcinogenic herbicides like Monsanto and Dow (and Syngenta, BASF, Dupont, Bayer, etc.). THESE SAME GIANT CHEMICAL COMPANIES FUND AND SUPPORT SO-CALLED "INVASIVE" PLANT COUNCILS, getting government funds for their massive killing campaigns. READ MORE. In our era of human-caused climate change we desperately need MORE, not fewer, carbon-sequestering, shade-making, oxygen-producing trees. All trees provide inumerable ecological benefit , no matter their country of origin. 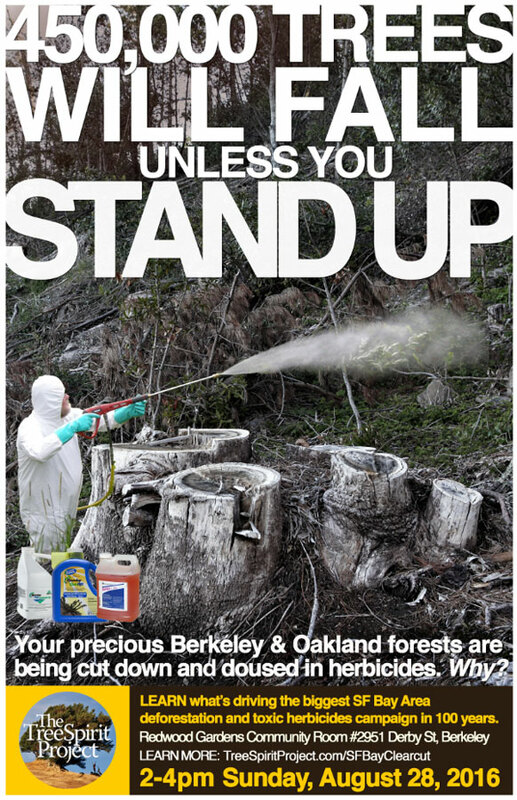 100-year-old forests like the one below in Berkeley, CA, that are teeming with life, are portrayed as enemies to fear — and kill. READ WHY. Also, despite what you may have heard, eucalyptus trees are NOT a fire hazard. This is another scare tactic; nativists use fear of wildfire to achieve prejudicial goals. "Native" bay laurel trees contain MORE volatile oils in their leaves, grow closer to the ground than eucalyptus do, and thus are more easily ignited by fires in "native" grasses and shrubs — what creates recent wildfires in northern and southern California. Another false claim is that eucalyptus — AND ALSO Monterey Pine and Monterey Cypress — trees are "invasive," an undefined and again NON-SCIENTIFIC term used to scare the public — and justify killing entire forests in massive, public-funded "restoration" projects. After 150 years in California, eucalyptus have integrated into the ecosystem, supporting numerous other species of plants, birds, and mammals. They are, simply trees, contributing much to a healthy ecosystem. Simplistic, xenophobic fear-mongering is tragically not much different from what the Trump administration uses to stir fears of immigrants in American, a nation of proud immigrant heritage. America's plants and trees, like its people, come from all over the world. This ongoing GoFundMe fundraising campaign is devoted to educated an unsuspecting public about these issues, and end this War on Nature by giant chemical companies. 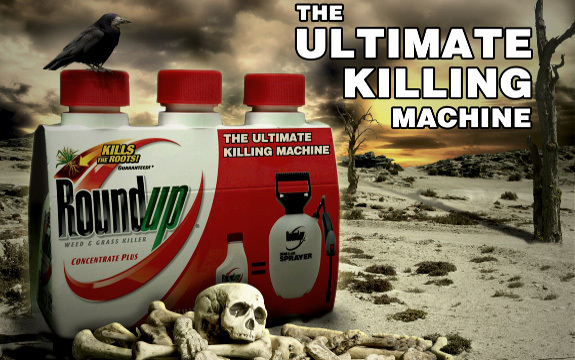 Their multi-million dollar advertising and public relations disinformation, tries to convince YOU, for example, that Monsanto Roundup, now the most widely used pesticide in history, is safe. (It's not.) LEARN MORE. Help spread these truths, and save America's and the world's forests, by supporting this campaign. YOU CAN HELP inform and inspire others to action; spread understanding for forests where there is now, tragically, fear of them. Speak up for of our silent, life-giving allies, the trees, with YOUR donation. • Pay support team: media & graphic professionals, filmmakers, sound technicians, and more, to document & educate people everywhere. Your donation empowers TreeSpirit Project to work full-time on this effort in the Bay Area — and beyond California. We must revere trees and forests all over. Trees and forests OF ALL SPECIES are precious friends, not enemies to be feared, and have been for thousands of years. Now they need your help. Trees purify the air; they also purify the mind . . . if you want to save your world, you must save the trees. GOOD NEWS! A big win for trees, forests and environmental sanity! 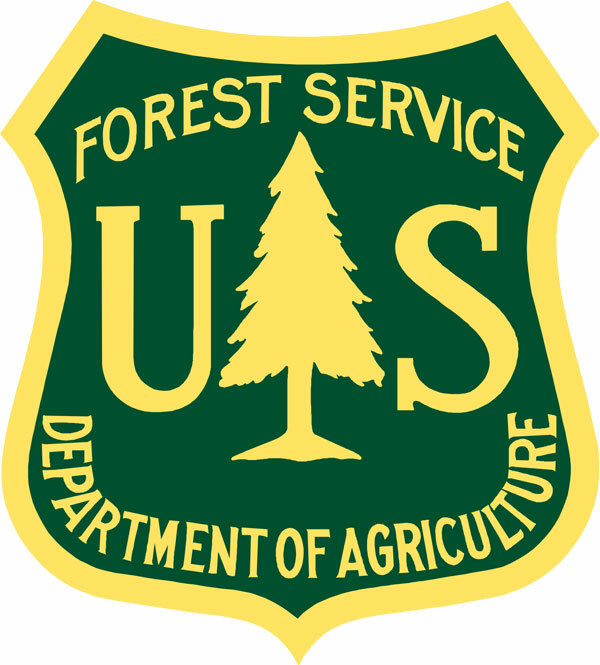 A Federal judge has rejected FEMA (Federal Emergency Management Agency) funding of deforestation planned by UC Berkeley, The City of Oakland, and East Bay Parks (EBRPD). These 3 groups will likely continue to advocate for the destruction of forests and regular use of toxic herbicides — erroneously citing fire danger and the safety of known toxins — but now it won't be with federal disaster funds. 2-4PM, Sunday, August 28, 2016 at Redwood Gardens Apts. @ 2951 Derby St., Berkeley, CA. 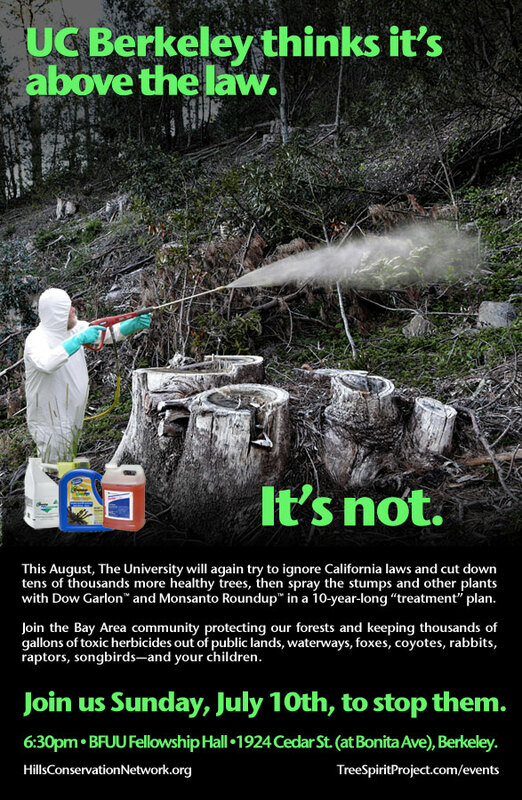 The activist community has protected thousands of trees from the planned deforestation, but UC Berkeley is about to again skirt environmental reviews and start cutting down thousands of trees and spraying gallons more herbicides (Dow Garlon™ and Monsanto Roundup™) this August (2016). It's up us all to show up, and show our strength, together. 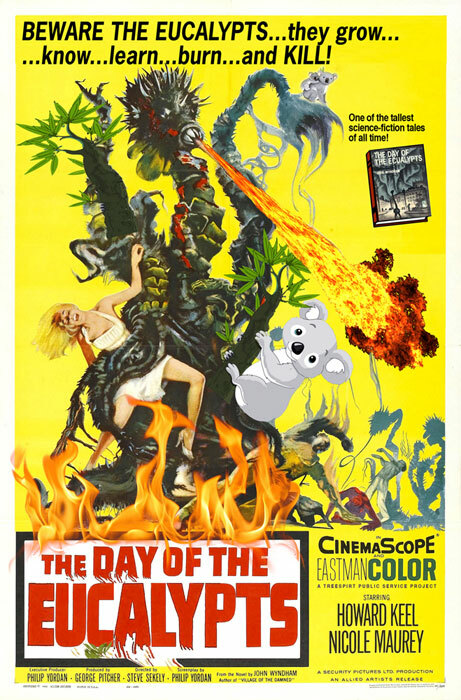 Tell your kids, years from now, you helped save the forests of Oakland and Berkeley from ignorance and fear! U.S. Forest Service study says eucalyptus trees should NOT be cut down — it could INCREASE fire danger! This 2013 report was hidden from the public until now. 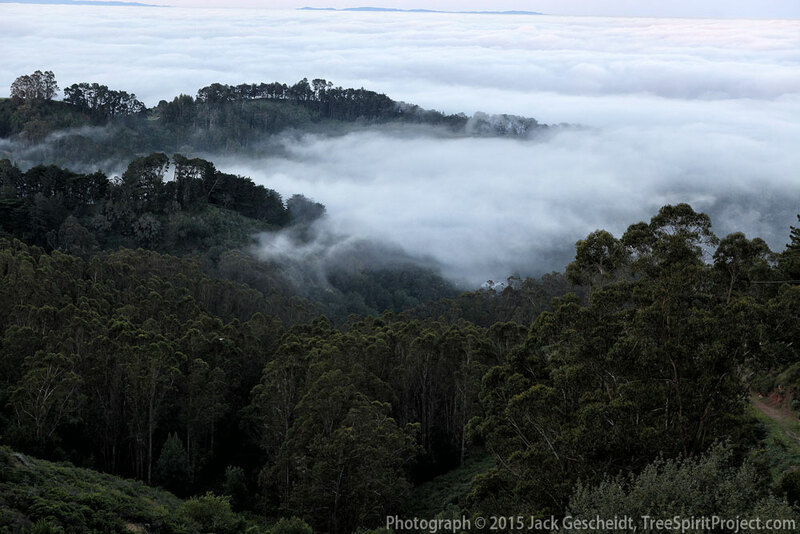 It reveals the BIG LIE: that cutting down hundreds of thousands of eucalyptus (and acacia and pine) trees reduces fire danger in the Oakland and Berkeley hills. Thank-you Jack for all your work on this issue. Thank you, Jack, for all you have done in the past year for our trees. Thank you, so much, for this good work.